There can be a plenty of outdated emails in Microsoft Outlook that cannot be deleted but make the mailbox seriously overloaded. You can archive these emails by converting them to PDF. 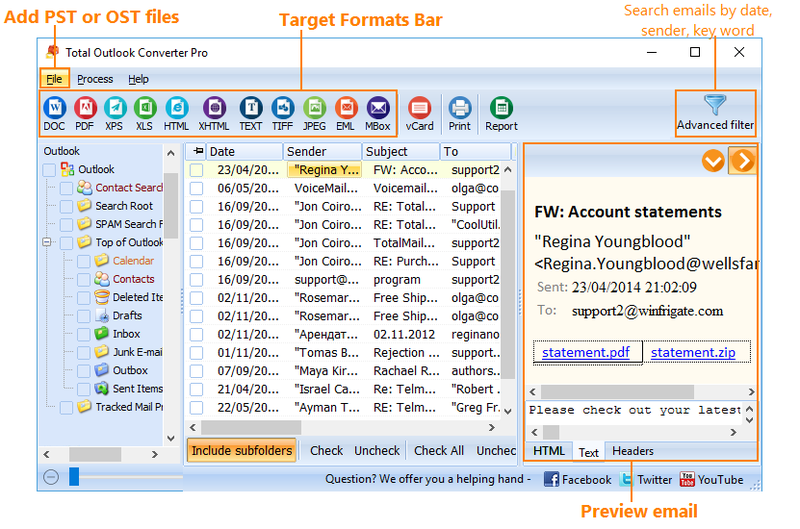 Total Outlook Converter Pro is the tool you need. A PDF version of mail history will be compact enough to be stored locally, exchanged with others via mail. It is also suitable for printing. Emails from Outlook are archived into a PST file that contains not only messages, but file attachments too. Very often essentially important information is sent in attached documents or archives. 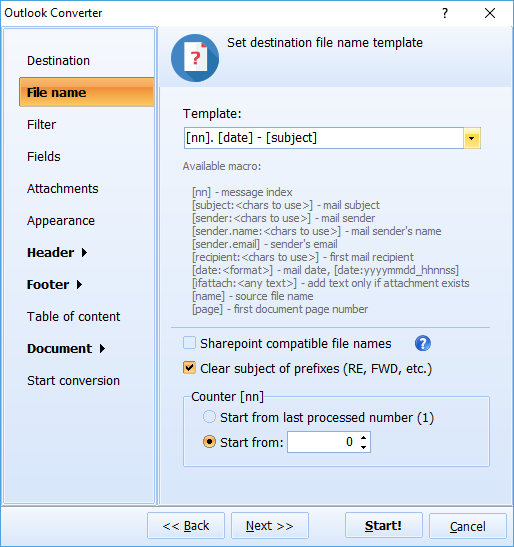 Different media files can be shared via email. 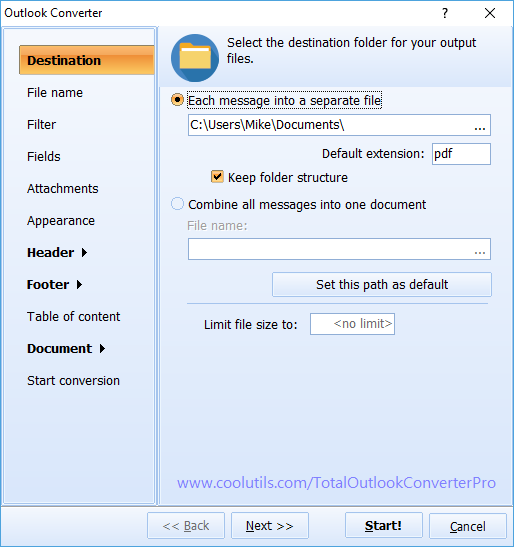 Total Outlook Converter Pro supports all sorts of attachments and can extract them from PST file together with message texts. This way you can significantly clean up your Outlook account from old files and messages, saving them somewhere on a hard drive or elsewhere. You can use any combination of these options for your messages. 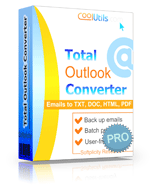 Besides processing attachments Total Outlook Converter Pro features fully adjustable layout for PDF copies. You can define page size, header and footer content and style, margins and other parameters in settings. The program will generate PDF mail copies according to your settings. Try it!